Invisibility is a magical romance between a boy cursed with Invisibility and the one girl who can see him. Stephen is used to Invisibility. He was born that way. Invisible. Cursed. Elizabeth sometimes wishes for Invisibility. When you're invisible, no one can hurt you. So when her mother decides to move the family to New York City, Elizabeth is thrilled. It's easy to blend in there. Then Stephen and Elizabeth meet. To Stephen's amazement, she can see him. And to Elizabeth's amazement, she wants him to be able to see her--all of her. But as the two become closer, an invisible world gets in their way--a world of grudges and misfortunes, spells and curses. And once they're thrust into this world, Elizabeth and Stephen must decide how deep they're going to go--because the answer could mean the difference between love and death. Andrea Cremer and David Levithan met each other in Washington, DC, even though that's not where they live. Andrea was pretty certain she wasn't invisible, but David confirmed that fact by introducing her to some other writers, who were all able to see her. Here's Andrea's site. She lives in New York City, quite visibly. Before writing with Andrea, David had never written a novel with a one-word title. Find him on the internet here. He lives just outside New York City. FOR TEENS: Teen sensation, Rachel Cohn (author of Nick & Nora's Infinite Playlist & a Books & Books' favorite, Dash & Lily's Book of Dares) brings us the first book in her new science fiction series: Beta (Disney, $17.99) . Elysia is created in a laboratory, born as a sixteen-year-old girl, an empty vessel with no life experience to draw from. She is a Beta, an experimental model of a teenage clone. She was replicated from another teenage girl, who had to die in order for Elysia to exist. If anyone discovers that Elysia isn't the unfeeling clone she must pretend to be, she will suffer a fate too terrible to imagine. When her one chance at happi­ness is ripped away with breathtaking cruelty, emotions she's always had but never understood are unleashed. As rage, terror, and desire threaten to overwhelm her, Elysia must find the will to survive. Elysia is a teenage clone, created for the sole purpose of serving the residents of the bioengineered island paradise Demesne. No worker clone is supposed to have emotions, but Elysia does, and consequently realizes that Demesne isn’t as perfect as it seems. Ages 15 and up. CANCELLED: Unfortunately, Rachel Cohn has had to cancel her event due to weather. We are working to reschedule. FOR YOUNG ADULTS: Teen sensation, Rachel Cohn (author of Nick & Nora's Infinite Playlist & a Books & Books' favorite, Dash & Lily's Book of Dares) brings us the first book in her new science fiction series: Beta (Disney, $17.99) . Elysia is created in a laboratory, born as a sixteen-year-old girl, an empty vessel with no life experience to draw from. She is a Beta, an experimental model of a teenage clone. She was replicated from another teenage girl, who had to die in order for Elysia to exist. If anyone discovers that Elysia isn't the unfeeling clone she must pretend to be, she will suffer a fate too terrible to imagine. When her one chance at happi­ness is ripped away with breathtaking cruelty, emotions she's always had but never understood are unleashed. As rage, terror, and desire threaten to overwhelm her, Elysia must find the will to survive. Rachel Cohn With Heather Brewer. Please note afternoon time! Rachel Cohn, best known for her non-fantastic young adult work, launches a four book science fiction series with Beta. On a futuristic island paradise where humans are served by enslaved clones, a 16-year-old clone named Elysia seeks her own freedom. Our special after-school event with Heather Brewer and Rachel Cohn is open to students, minions, clones and more! 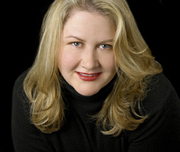 Heather is the author of The Chronicles of Vladimir Tod, The Slayer Chronicles, and The Legacy of Tril series. Her newest novel is Second Chance, part of the Slayer Chronicles, offering the perspective of Vlad’s former friend turned mortal enemy: vampire slayer Joss McMillan. Heather will also discuss July release Soulbound, the first in her traditional fantasy series about a world in which a girl born to be a healer seeks to be a warrior against tradition. 7PM FRIDAY, OCTOBER 19 Teen Event | David Levithan: Every Day | Rachel Cohn: Beta ﻿﻿David Levithan shares his newest teen novel, Every Day. Joining him is Rachel Cohn, co-author of Nick and Nora's Infinite Playlist, who shares her book, Beta. ﻿In Every Day, "A" wakes up every morning in a different person's life. He's made peace with that, never gotten too attached, hasn't interfered. Until he wakes up in the body of Justin and meets Justin's girlfriend, Rhiannon. Now the rules no longer apply. ﻿In Beta, Elysia was born in a lab: a sixteen-year-old "Beta" clone created as an emotionless vessel. Her purpose is to serve the inhabitants of Demesne, an island paradise for the wealthiest people on earth. She soon comes to realize that beneath the island's flawless exterior, there is an undercurrent of discontent among Demesne's worker clones. She knows she is soulless and should not care. But she does. And if anyone discovers that Elysia isn't an unfeeling clone, she will suffer a fate too terrible to imagine. Rachel Cohn is currently considered a "single author." If one or more works are by a distinct, homonymous authors, go ahead and split the author. Rachel Cohn is composed of 3 names. You can examine and separate out names.